Most people who are injured on the job look to worker’s compensation to support them while they are unable to work. In some cases there may be another option as well. Raymond Mariolle, a garbage collector for Waste Management, sued the manufacturer of the truck he used at work for product liability and won to the tune of $11.4 million. In 2007, the front tire of the garbage truck Raymond Mariolle was using during his rounds came off due to a defective hub assembly. 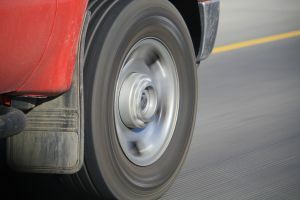 The hub houses the wheel bearing, which supports the weight of the vehicle. Worn down or defective bearings may allow the wheel to become loose and vibrate. The wheel on Mariolle’s garbage truck loosened and came off as a result of the defective hub assembly and Mariolle suffered a compression injury to his spine, which ultimately made him permanently disabled. According to the Contra Costa Times, the manufacturer of the hubs, Consolidated Metco, Inc. realized that some 15,000-25,000 defective hubs were being used on large service trucks as early as 2004, but they never noticed the truck owners. The hubs had the propensity to break under loads they should have been able to carry. Because a third party contributed to his workplace injury, Mariolle sued the manufacturers involved with the production of the garbage trucks used by Waste Management. Products liability, such as in the above case, is one of the most common personal injury claims for injuries that occur on the job. The Contra Costa Times reported that the $11.4 million that the U.S. District Court jury awarded Mariolle breaks down as $2.4 million for past and future medical expenses and lost earning capacity, $7.5 million for pain and suffering, and $1.5 million for Mariolle’s wife for loss of consortium. The high award in this case is consistent with the findings of research on the topic. A study by RAND found that product liability cases are harder to win than auto accident cases, but that the awards tend to be much higher. The paper Putting a Price on Pain-and-Suffering Damages from the Northwestern University Law Review cites a study that found (logically) the more serious and permanent an injury is, the higher the award. In many personal injury cases pain and suffering can add up to around 50% of the total award for damages. In Mariolle’s case, pain and suffering constituted about 66% of the total award. It is important to search out a lawyer who understands how juries monetize non-economic damages in injury cases in order to obtain a higher award according to the client’s circumstances. Greg Brod is an experienced personal injury attorney who gives personalized attention to each of his clients and the facts of their case. The Brod Law Firm is located in San Francisco and serves the greater Bay Area and Sacramento. Please call today for a free consultation.